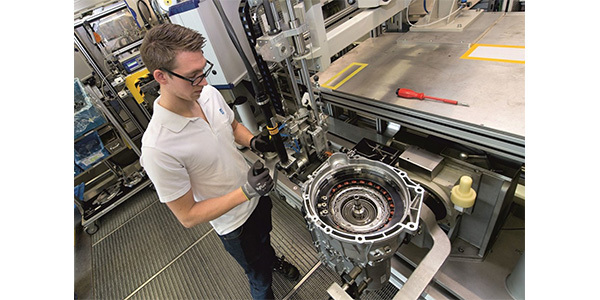 ZF Friedrichshafen AG has received a customer order from BMW AG for its enhanced 8-speed automatic transmission with a double-digit billion Euro value. The business is planned to run over a period of several years. The latest version of ZF’s 8-speed transmission – a technology which has been in production since 2009 – has been optimized by integrating an electric drive. This also includes a hybrid variant. ZF’s enhanced 8-speed automatic transmission will start production at its Saarbrücken, Germany, plant in 2022. The new transmission generation will start series production in 2022 at ZF’s plant in Saarbrücken, the lead production facility for ZF’s automatic passenger car transmissions. The company also plans to start production of the technology at further locations including the U.S. and China in the future. The new 8-speed automatic transmission can be installed in almost all vehicle classes with a front-longitudinal drive configuration. A technical innovation of the upgraded transmission is the integration of the electric drive.